If you always wanted to visit Lisbon and Madrid, you might be interested in the vacation package that we found you. 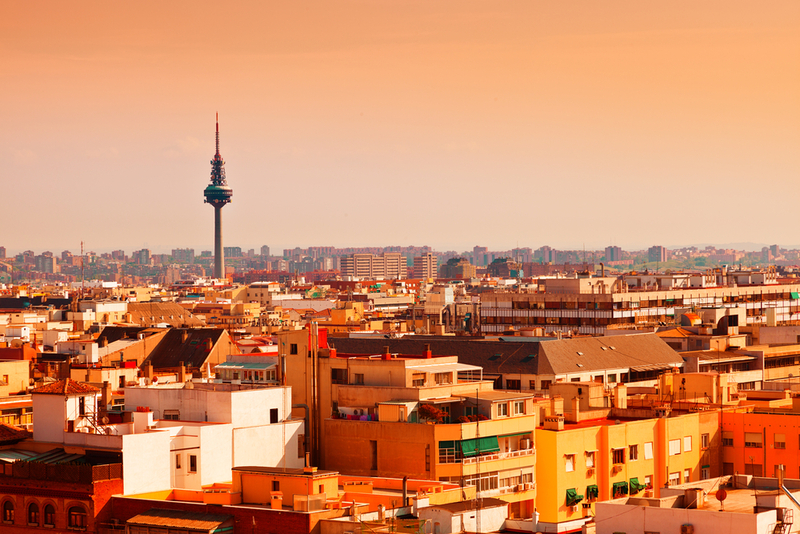 Book now your Lisbon and Madrid getaway – 6 nights for $1241. This price is based on double room occupancy and includes all air taxes and fuel surcharges for arrival on November 17, 2014 with departure from Chicago. Would you like to be sure that you get the best Lisbon and Madrid vacation package? Check the offer of our partners in the box below. You may even find a deal that you like more than the one we present you. Check more providers for more prices. 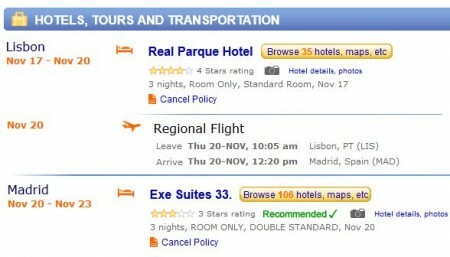 The 6 night Lisbon and Madrid getaway costs $2480.51 for 2 people. The deal includes two round trip tickets with the United Airlines from the O’Hare International Airport (ORD) to the Lisbon Portela Airport (LIS) and from the Madrid–Barajas Airport (MAD) back to Chicago; and 6 nights in 3-4 star hotels in Lisbon and Madrid. You will depart from Chicago in November 16 and arrive to Lisbon in November 17, where you will be accommodated for 3 nights in the 4-star Real Parque Hotel. You will have 3 days to explore this beautiful city. On November 20 you will fly from Lisbon to Madrid with a regional flight, where you will be accommodated in the 3-star Exe Suites 33. Here you will have another 3 days ti visit the best sites of the city. 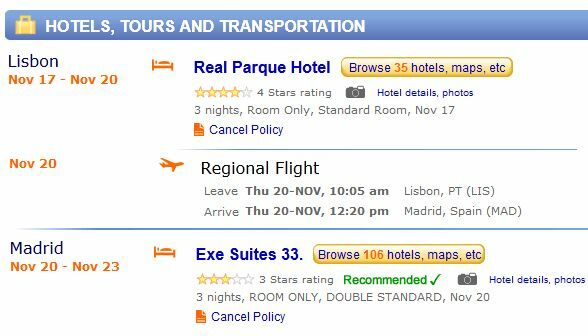 Please see the details of this Lisbon and Madrid vacation package in the screenshot below.